Woodstock - Brass Hammer, 16 oz. 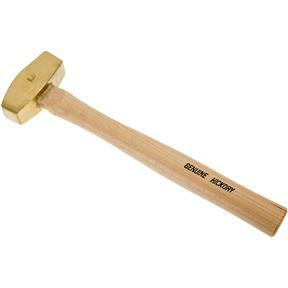 Beautifully polished Brass Hammers provide mass for friendly persuasion, yet won't cause sparks or marr harder metals. 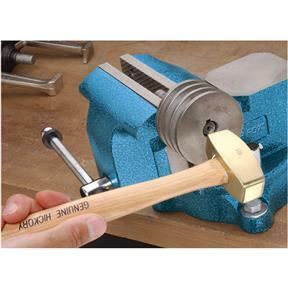 Perfect for metalworkers and machinists making delicate adjustments and for woodworkers using wood handled chisels. A few uses using brass punches have proved very satisfactory.